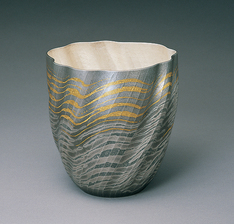 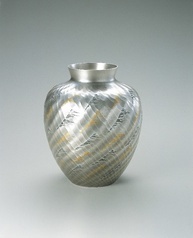 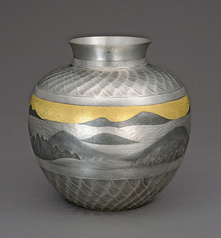 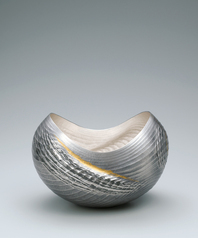 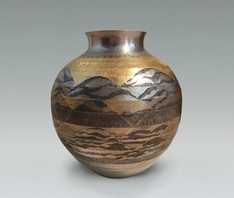 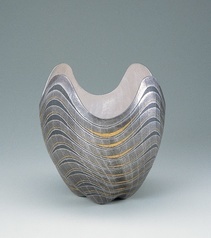 On tankin (hammered) vessels and by applying the traditional techniques of chasing, mainly nunome-zogan (textile imprint inlay), OSUMI captures the feelings of nature with motifs of formless flowing subjects such as waves, streams, clouds, or winds. 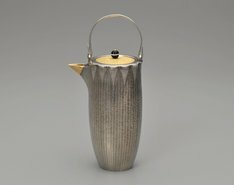 She creates vessels and utensils used in traditional culture such as flower vases, tea and calligraphy utensils; she is also aware of formations that harmonize with contemporary living space. 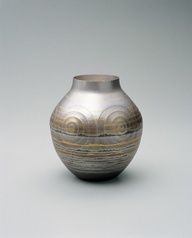 Awarded the 1st recipient of Residency at The Freer Gallery of Art and Arthur M. Sackler Gallery, the Smithsonian’s museums of Asian Art, Washington, D.C.